Nagarjuna, Karthi, Tamanna starring untitled Vamsi Paidipally directorial has completed a couple of schedules in Chennai and Hyderabad. Now, the team is heading to Europe for a crucial 30 days schedule. 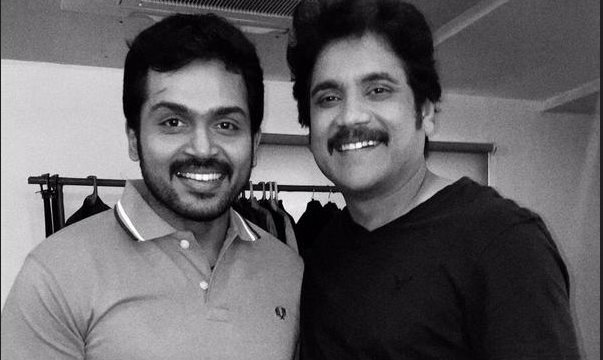 Karthi and Nagarjuna will be shooting in the never seen before locales of Belgrade- Capital of The Republic of Serbia, Paris, Lyon in France, Ljubljana-Capital of Slovenia. Director Vamsi is excited to shoot the car chase sequences in Paris along with the enjoyable locales of South East Europe. After finishing this one month long schedule, Vamsi is planning to can high octane action sequences involving Nag, Karthi and Tamanna, which might wrap most of the shooting part.